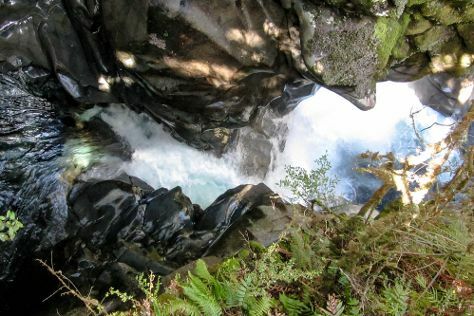 Explore hidden gems such as The Chasm Walk and Lake Te Anau. Take a break from the city and head to Kayaking & Canoeing and Te Anau Glowworm Caves. It doesn't end there: explore the activities along Milford Sound and identify plant and animal life at Te Anau Bird Sanctuary. To see other places to visit, ratings, where to stay, and more tourist information, refer to the Te Anau trip planning website . New York City, USA to Te Anau is an approximately 29-hour combination of bus and flight. The time zone difference when traveling from New York City to Te Anau is 17 hours. Cap off your sightseeing on the 1st (Tue) early enough to go by car to Queenstown. 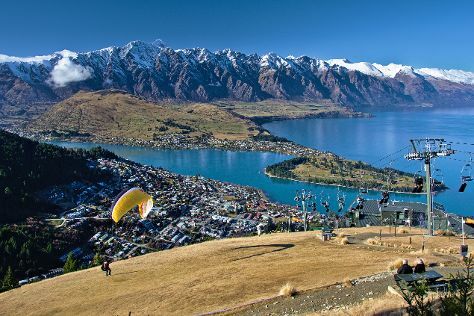 Kick off your visit on the 2nd (Wed): trek along Queenstown Hill, get some thrills out on the water with a waterskiing or jet-skiing adventure, and then cross one thing off your bucket list with a skydiving experience. Here are some ideas for day two: relax and float downstream with a rafting and tubing tour, get a new perspective on things with Boat Tours & Water Sports, and then contemplate the long history of Arrowtown Chinese Settlement. To find maps, where to stay, and other tourist information, read our Queenstown trip itinerary tool . You can drive from Te Anau to Queenstown in 2.5 hours. Alternatively, you can take a bus. Cap off your sightseeing on the 4th (Fri) early enough to travel to Paihia. Kick off your visit on the 4th (Fri): make a short side trip with Day Trips. On the 5th (Sat), you'll have a packed day of sightseeing: take in the dramatic scenery at Haruru Falls, contemplate the long history of Waitangi Treaty Grounds, and then look for all kinds of wild species at Paihia Harbour. To find more things to do, ratings, photos, and tourist information, refer to the Paihia vacation planner . Traveling by combination of flight and taxi from Queenstown to Paihia takes 5.5 hours. Alternatively, you can do a combination of flight and bus. Wrap up your sightseeing by early afternoon on the 6th (Sun) to allow time for travel to Rotorua. Explore hidden gems such as River Rafting & Tubing and Orakei Korako Cave & Thermal Park. Get outdoors at Paradise Valley Springs Wildlife Park and Huka Falls tracks. When in Rotorua, make a side trip to see Waiotapu Boardwalk/ Mud Pool in Wai-O-Tapu, approximately 44 minutes away. 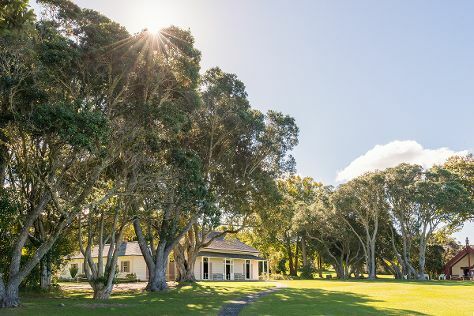 Next up on the itinerary: contemplate the geological forces at Waimangu Volcanic Valley, do a tasting at Volcanic Hills Winery, take in the natural beauty of Lady Knox Geyser, and look for all kinds of wild species at Redwoods Treewalk. To see reviews, traveler tips, other places to visit, and more tourist information, refer to the Rotorua online travel planner . Getting from Paihia to Rotorua by combination of taxi and flight takes about 4.5 hours. Other options: do a combination of taxi, flight, and bus; or drive. Expect a daytime high around 74°F in January, and nighttime lows around 61°F. 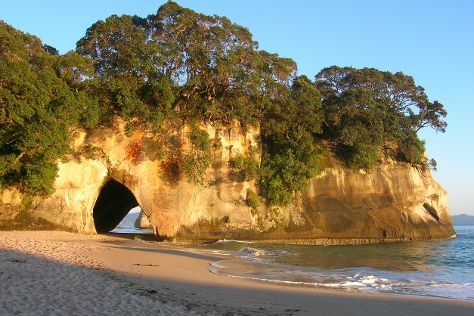 Finish up your sightseeing early on the 11th (Fri) so you can go by car to Whitianga. Whitianga is a town on the Coromandel Peninsula, in the Waikato Region of New Zealand's North Island. Start off your visit on the 11th (Fri): enjoy the sand and surf at Hahei Beach Walk, hike along Cathedral Cove Walk, and then explore and take pictures at Shakespeare Cliff Scenic and Historic Reserve. For maps, photos, ratings, and other tourist information, go to the Whitianga online tour itinerary builder . Traveling by car from Rotorua to Whitianga takes 3 hours. Alternatively, you can do a combination of bus and flight; or take a bus. In January in Whitianga, expect temperatures between 73°F during the day and 61°F at night. Cap off your sightseeing on the 12th (Sat) early enough to travel back home.